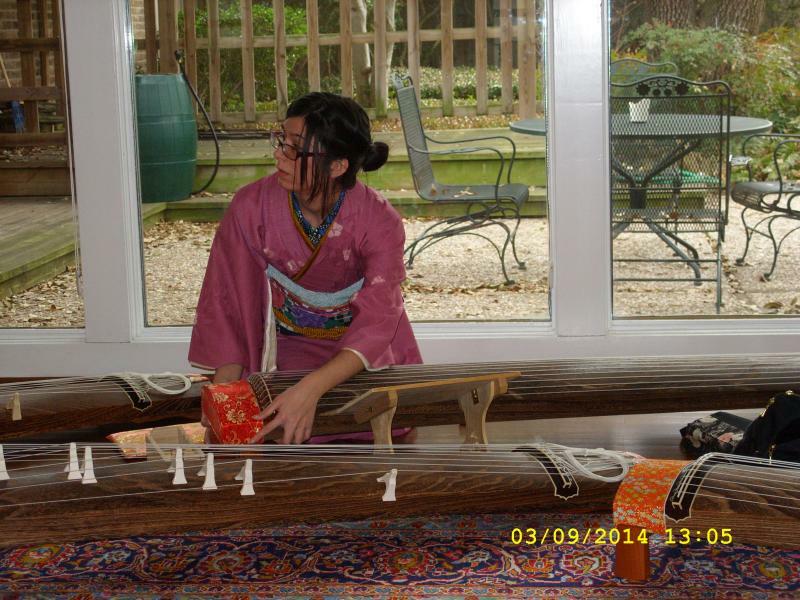 So, last year I met a woman who teaches koto at the Fall Festival named Fumiko. I've been taking private lessons from her ever since. This picture is from my first performance. It's actually the rehearsal beforehand. 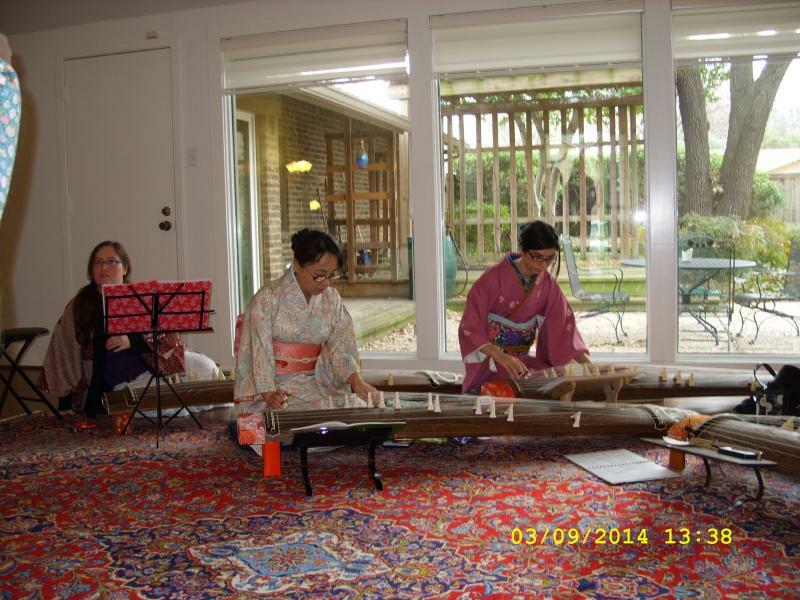 We played three simple songs: Sakura Sakura, Itsuki no Komoriuta and Hina Matsuri. I was definitely nervous but everything went great. I'm currently working on a classical piece called Kurokami. I really enjoy playing it but the singing is very difficult! Whenever I try to play and sing at the same time it all falls apart. I'll keep working though. The kimono I wore is a shibori tsukesage with a chuuya obi handmade by a girl from the Ukraine. I paired it with a rather bold green and blue butterfly han eri, a pale blue shibori obiage and a gold date-eri and obijime. Looking at it now I feel like the whole outfit is a bit busy but the little old ladies said I looked like a doll!